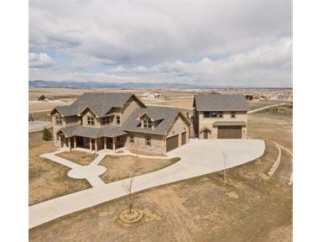 Description: Elegant estate with space, privacy & amazing views. Large, luxurious home with study & gourmet kitchen has 2 dishwashers, 3 ovens, 6 gas grill, ice maker, stainless appliances, heated racks, island, hickory floors, granite counters with wine bar. Open floor plan to family room & eat-in kitchen with fireplace. Massive covered deck to enjoy panoramic mountain views. Walk-out bsmt. Upstairs has 4 spacious bedrooms & loft. Additional unit has kitchen with granite, ss app, bed & full bath, 2 fp.